Here ya go, Miss Holly, I say. Your last bowl of puppy food. 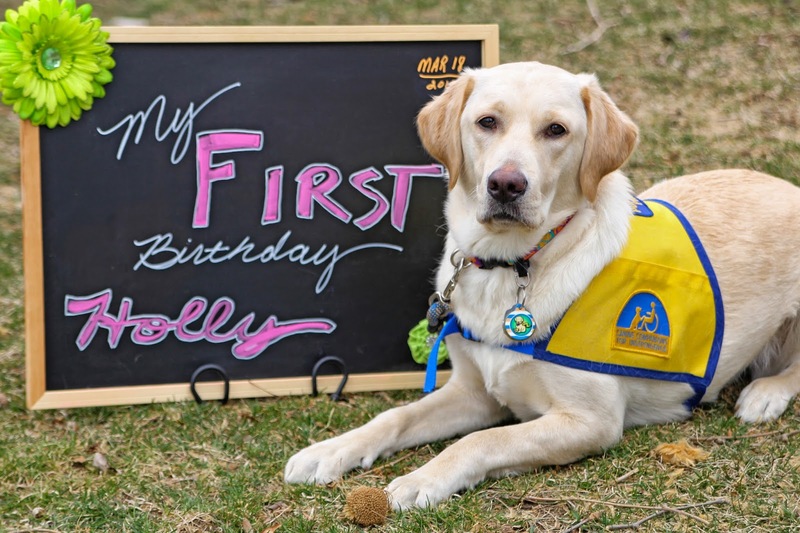 Those are not words I like to hear in the same sentence, says Holly. Last Bowl and Food. Wait, the world is going all fizzy. I think I might faint from lack of kibble crunchies. Maybe we can feed her the cat, says Jager. What? Don't look at me like that. I meant cat food. Feed her cat food. You all are misunderstanding what's going on here, I say. 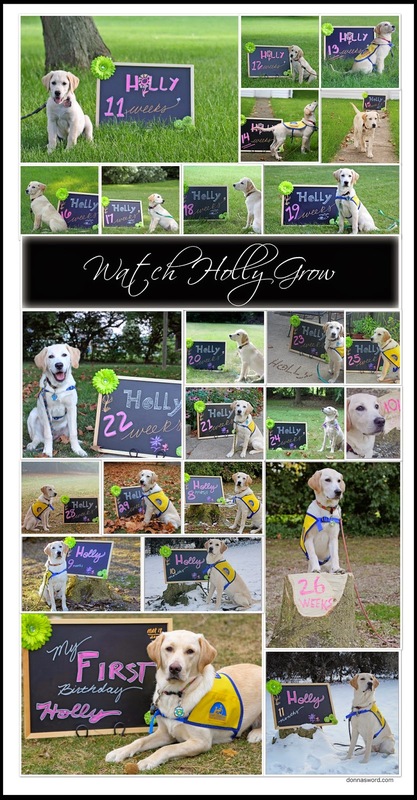 It's a big day for Holly. So I get a big cat? asks Holly. Nobody is eating the cat, I say. Cut it out. 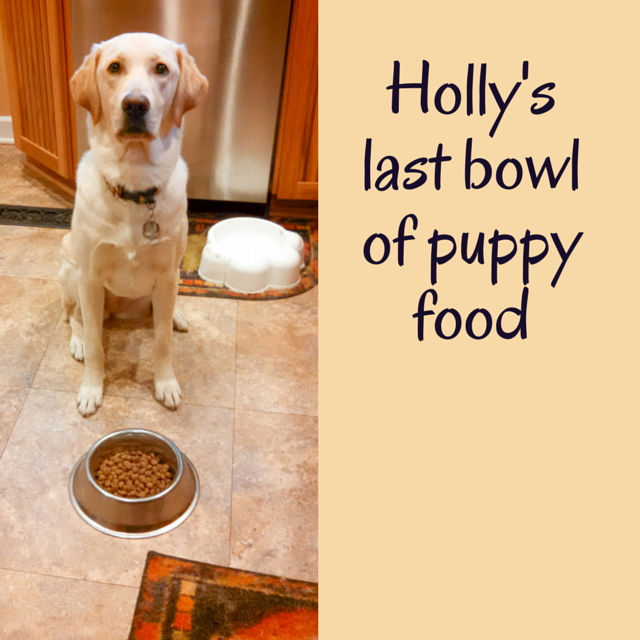 No, Holly since you're turning one year old, this is the last of your puppy food. You get adult dog kibble after this. Actually, I say. I've been transitioning you over to your big girl food all week. Adding a few more adult kibbles into the mix each day. You didn't even notice, did you? Yeah, I noticed, says Holly. But hey, I'm not a picky girl. If it makes a tonk-tonk sound hitting the bowl, I'll down it. 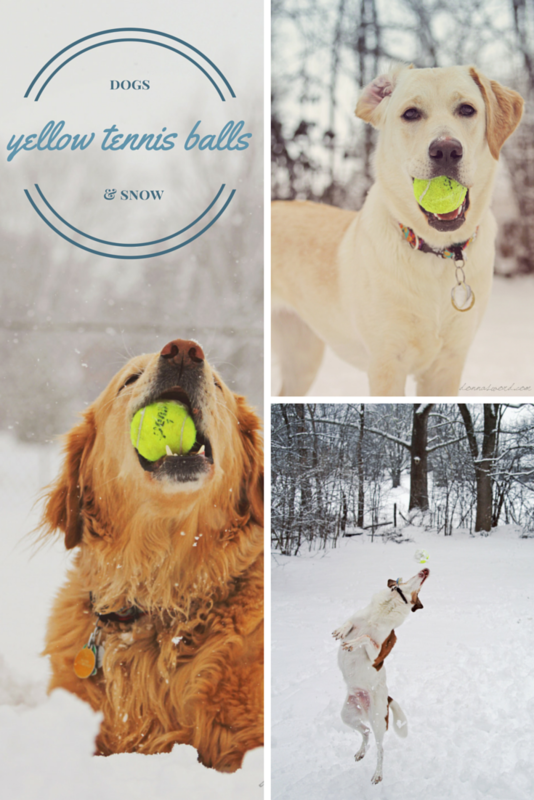 It's the Way of the Retriever. Gotcha, I say. I've learned that over the last few CCI pups. Speaking of, here's a nugget of trivia for you. 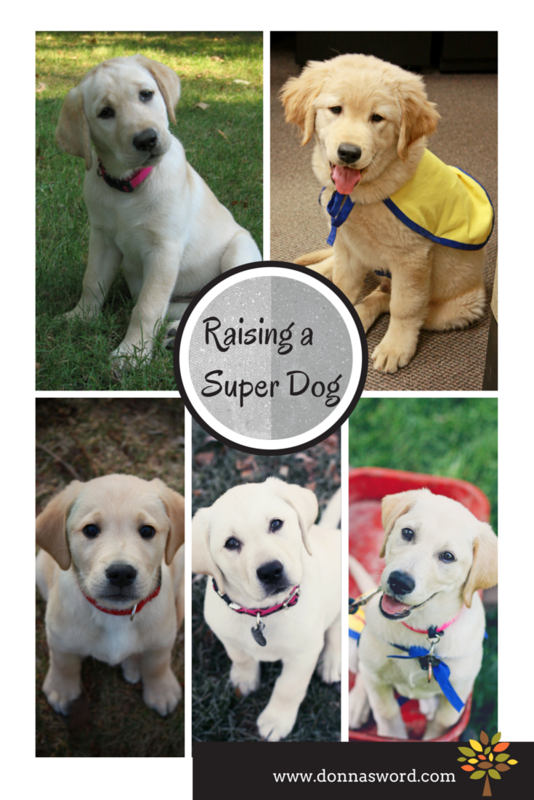 Even though you're a year old, you're still a Puppy by CCI lingo. But I'm huge! Bigger than Jager! says Holly. Heck, I'm even bigger than the cat now. I'm not a puppy! But you are, I say. In a word, that is. 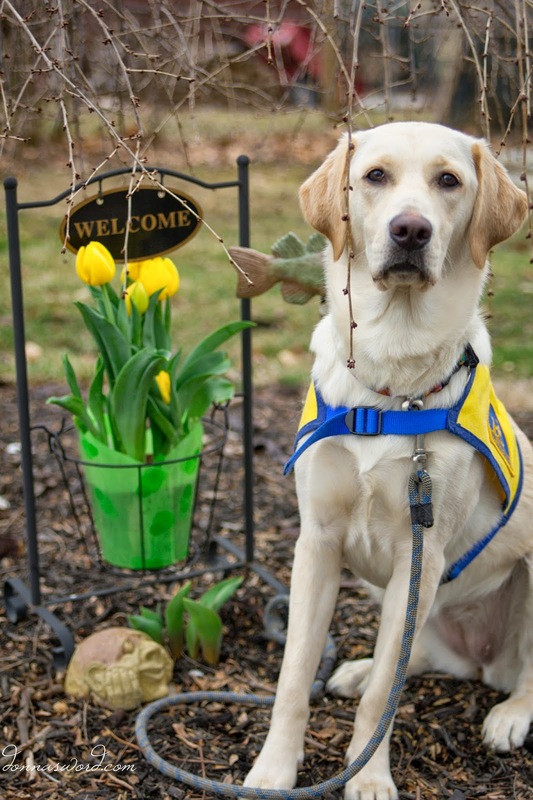 Canine Companions for Independence considers all dogs in the puppy raising program as "puppies." When you enter the Advanced Training program in November, then you'll get to be called a "dog." It's a simple way to keep everybody clear where they are in their training. Fine, says Holly. So long as I still get something to eat around here. So, are you going to say the word or do I just sit here and drool into my bowl until I dehydrate? Right. Let's do that, I say. Holly, OK! In recognition of National Puppy Day, we offer up a collage of the five little biscuit eaters that have christened our carpet since we started volunteer puppy raising in 2008.
Who recognizes, and can name off, those black boop buttons? Tell me the truth here. Is there a fish coming out of my neck? No wait, before you do that, let me offer a challenge of imagery. Take a deep breath. No, not like that. A deep breath. From the diaphragm, people. There you go. Now let it out slowly. And think about this ... what do you see when you imagine springtime? I'll give you a minute. Got it? Ok, open your peepers again. What did you see on the back of your eyelids? Let me guess. Budding flowers, green grass and bumblebees, right? Then you must not be from around here. Because on the first day of spring in Ohio, we got brown. Lots of brown. Intermingled with gray tones and some otherwise indescribable neutral shade of taupe. But no matter. Because six bucks will score us some hot house tulips from the local grocer and there you go,simple as that. 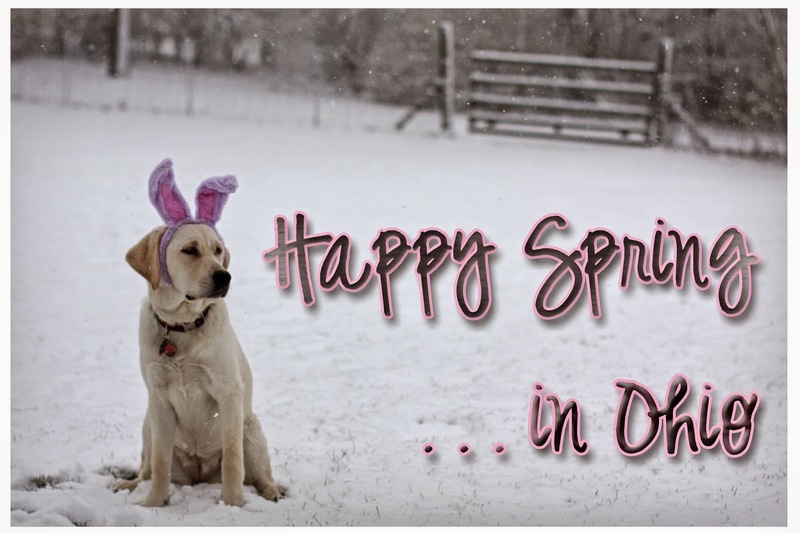 Miss Holly and I wish y'all a very happy First Day of Spring. And if you're from Ohio, remember ... it could always be worse.